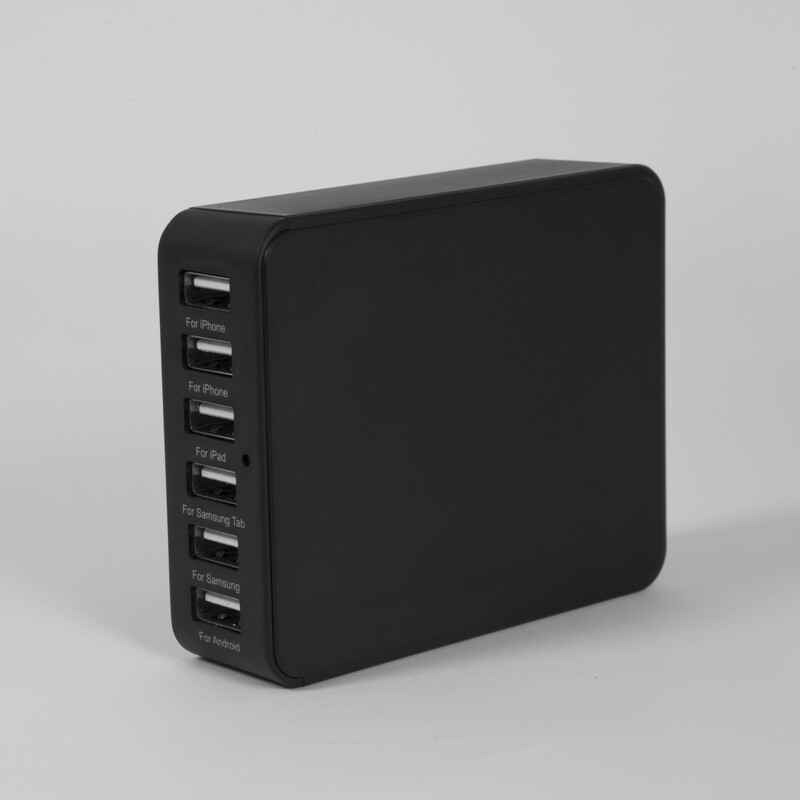 The Multi- Charge 6 in 1 can charge 6 devices at the same time! 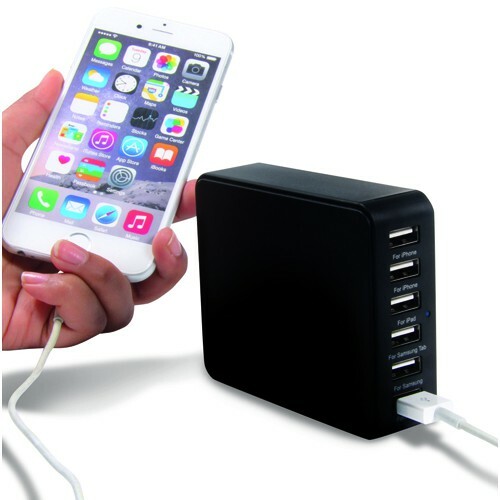 This powerful and compact home charger offers an exceptional 33 W through 6 ports; which allows you to charge a combination of Smartphones, Tablets or other USB charged devices simultaneously. The Multi- Charge detects your device to give you the fastest possible charge speed up to 2. 1 A per port or 6.5 A overall. Stylishly designed, the Multi- Charge saves space and time.